How were the Ancients able to produce lamps, which could burn without fuel, for hundreds, and in some cases thousands of years? The secret of the eternal flame was regarded as God’s sole property, but the ancient Egyptians figured it out. They believed their dead needed light to guide them on their journey to the Underworld, so before a tomb was sealed the custom was to place an eternal burning lamp inside. Not only was it an offering to the god of the dead but it was the belief that light kept away evil spirits. Based on ancient records these mysterious eternal burning lamps were discovered in tombs and temples all over the world going back even to the Middle Ages, where more than 170 medieval authors wrote about this strange phenomenon. It is unfortunate that so many of these lamps were destroyed by early day vandals and looters who feared they possessed supernatural powers. St. Augustine described an Egyptian temple, dedicated to the goddess Venus, which contained a lamp which could not be extinguished. He declared it to be the work of the devil. In 527 A.D., at Edessa, Syria, during the reign of emperor Justinian, soldiers discovered an ever-burning lamp in a niche over a gateway, elaborately enclosed to protect it from the air. According to the inscription, it was lit in 27 A.D. The lamp had burned for 500 years before the soldiers who found it, destroyed it. In 140, near Rome, a lamp was found burning in the tomb of Pallas, son of King Evander. 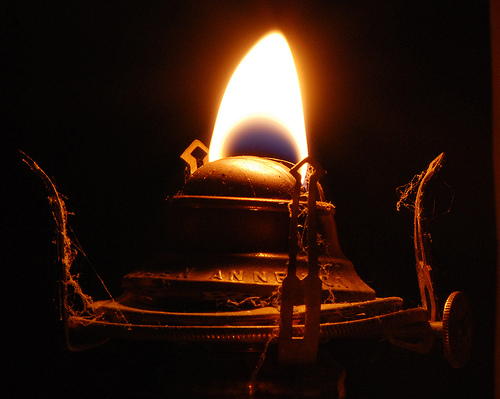 The lamp, which had been alight for over 2,000 years, could not be extinguished by ordinary methods. It turned out that neither water nor blowing on the flame stopped it from burning. The only way to extinguish the remarkable flame was to drain off the strange liquid contained in the lamp bowl. In about 1540, during the Papacy of Paul III a burning lamp was found in a tomb on the Appian Way at Rome. The tomb was believed to belong to Tulliola, the daughter of Cicero. She died in 44 B.C. The lamp that had burned in the sealed vault for 1,550 years was extinguished when exposed to the air. When King Henry VIII broke away from the Catholic Church in 1534, he ordered dissolution of monasteries in Britain and many tombs were plundered. In Yorkshire, a burning lamp was discovered in a tomb of Constantius Chlorus, father of the Great Constantine. He died in 300 A.D. which means that the lamp had been burning for more than 1,200 years. In his notes to St. Augustine, 1610, Ludovicus Vives writes about a lamp that was found in his father’s time, in 1580 A.D. According to the inscription, the lamp was burning for 1,500 years, however when it was touched it fell into pieces. Obviously, Ludovicus Vives did not share some of St. Augustine’s views. He considered perpetual lamps to be an invention of very wise and skilled men and not the devil. For centuries the answer to the riddle of what type of renewable fuel the ancients used has remained a mystery. About a year ago, when I first became interested in this subject, I came across an obscure report of someone opening a tomb and finding strange “liquid silver drops” on the floor. It had an ever-burning lamp in it, but somehow it had broken. I immediately thought back to the thermometer I broke as a child and seeing the liquid mercury beads go scattering. My mother warned me not to touch them and immediately vacuumed them up before disposing of the bag. I was sure the “silver drops” in the tomb were mercury. Mercury was the key tool of the early alchemist along with sulfur and salt. These were believed to be the Earth’s three principal substances, also called Body (Salt), Soul (Sulfur) and Spirit (Mercury). The ancient alchemists used them in combination to perform what often appeared as magic. Mercury has some interesting effects. It can be extremely volatile and has been coined the “Eagle.” Unless it is effectively contained and sealed, it rises into the air and is lost. In 1675 a French astronomer named Jean-Felix Picard made a remarkable observation. He was carrying a mercury barometer, when he noticed that the empty-space glowed as the mercury jiggled. Many people tried to explain this phenomenon, among which an English scientist named Francis Hauksbee, who was the first to demonstrate a gas-discharge lamp in 1705, operated with static electricity. 100 years later, Vasily V. Petrov, a Russian self-taught electrical technician, described for the first time the phenomenon of the electrical arc, which led to different kinds of discharge light sources. 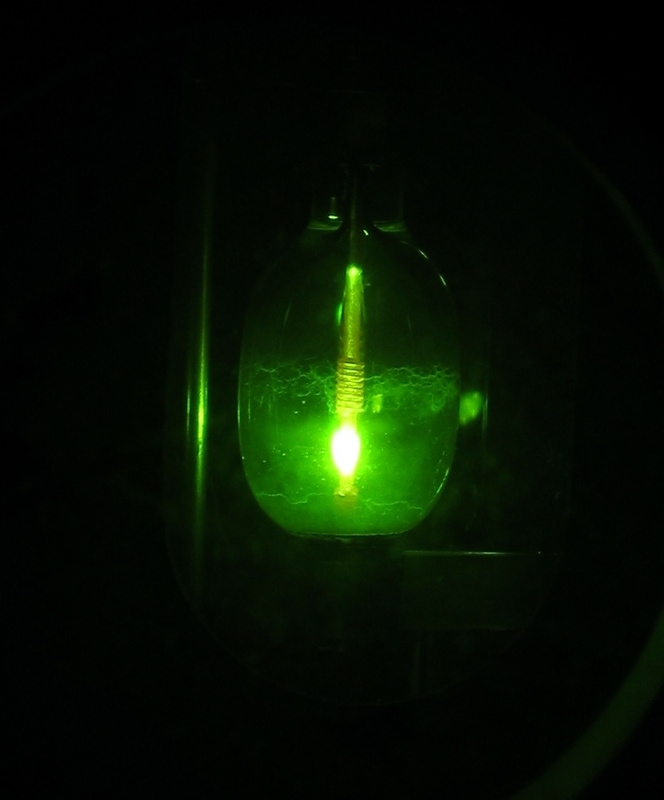 One such type of high-intensity discharge lamp uses mercury-vapor. How would such a mercury-vapor lamp work? A gas discharge lamp is a light source that generates light by creating an electrical discharge through ionized gas. In other words, ionized gas from the heated mercury builds up in the sealed tomb, creating a self-sustaining electrical charge that fuels the light. Mercury has thermal conductivity, gives off heat, and can act much like a fusion reactor under certain conditions. I’m no scientist, but you can find a lot about how mercury works by searching the Internet, and it adds up. Perhaps this mystery is no mystery at all and a modern-day alchemist (aka chemical engineer) can verify this. It’s interesting to note it was often reported that when a tomb was opened, the light went out. This would make sense if built up gas in the tomb is released. This may also explain why so many tomb robbers and archeological workers reported feeling acutely ill after entering many of these tombs. They were being exposed to mercury vapor poisoning—an invisible and odorless enemy. Maybe the Ancients intended to place such a toxic and deadly curse on any who should disturb their final resting place. Somewhere down the line, they had to suspect something in the tombs was hazardous to one’s health. As a result, it was not uncommon for those opening a tomb to first drill two holes in the vault door, thereby allowing the gas (or evil spirits) to escape prior to entering. I wouldn’t be a bit surprised if they found tomb lamps down there. Hopefully they will also find more answers to ancient art of alchemy.